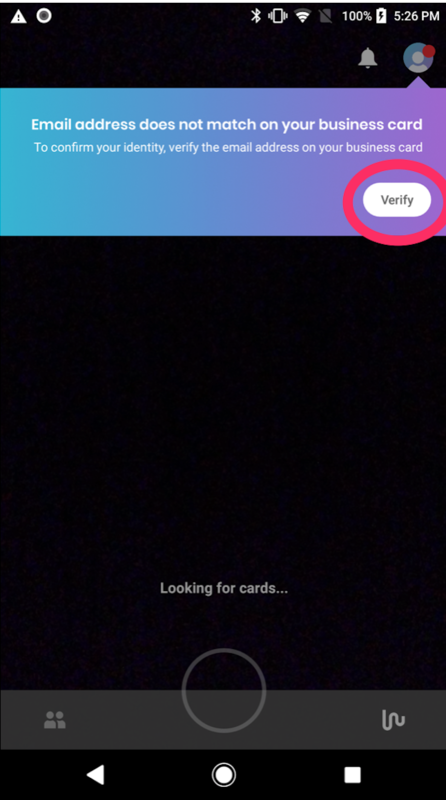 In case you set up an account with the wrong card – Wantedly, Inc. It can be the case that you scan another person's card when you were meant to scan your own, thus creating an account with a different e-mail. It is possible to rescan the correct card instead of deleting your current account. 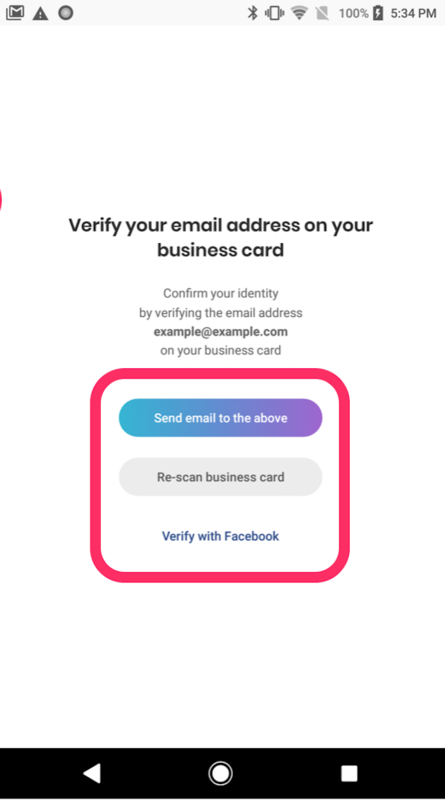 *Send e-mail to above: Send another verification e-mail to the e-mail address that is written on the card.